According to most travel websites, TripAdvisor and Yelp included, the most exciting things you can do in Washington D.C. is to pop in one museum, exit and pop into another one. While the list of museums in D.C. is quite endless and it will take you years to become familiar in all the museums’ offerings, it doesn’t make a trip to D.C. very exciting for those who have been there. How about doing something less known or stopping by a restaurant that is not as crowded? A 2013 report revealed that there was an influx of over 19 million tourists coming into Washington D.C. with or without their tour guides, packed charter buses and making a ginormous deal out of the view of Potomac River. Instead of doing what the tourists do, how about crafting your own itinerary, according to your preferences and hit the off-the-beaten paths instead? But still, let’s start with the norm. Most people will warn you that the weather is unpredictable so, be prepared with a raincoat, an umbrella or just don a pair of good sneakers and get ready to run for cover once in a while. But hey, if you’re going to hide from the rain, might as well head into a famed Smithsonian museum, right? Begin with the National Mall, White House, and the Washington Monument if you’ve never been there. This is like the starting point for all the runs around Washington D.C.: the White House (from the outside. Visiting the White House requires months of approval from the representative), the Washington Mall, monument, Vietnam War memorial, the Smithsonian African American Museum, the Treasury Department behind the White House, WWII memorial, etc. Even if you’ve been there, there’s something to be said about the sweeping views of D.C. you’ll get from the National Mall. It’s THE BEST. One note: visiting the nation’s front lawn at night is even more awesome because the place will be lit up like a wonderland. The best thing to do is to go at your own pace. Take your time, grab a map, load your GPS and just more-or-less navigate and surprise yourself! While the beautiful sculptures are great for Instagram shots, don’t put your feet (or splash around) in the fountains. You’ll get the boot. Or at least get an evil eye cast your way or chastised for untoward behavior in a highly patriotic place. What can you say? This was where the great American Dream was immortalized. It’s where the “I Have a Dream” speech was read by Martin Luther King Jr. When it lights up at night, it will blow your mind. The Greek Doric temple is fronted by a large (very seriously looking seated sculpture of Abraham Lincoln together with inscriptions of two of his most famous speeches, the "Gettysburg Address" and the "Second Inaugural Address". The good news is that when you're done with all that walking and you’re almost keeling over with hunger, you get to choose from a buffet of options in the form of eateries and cafes. And if you feel like it, there are restaurants offering super cool cocktails and margaritas around the corner. One thing’s for sure, the locals love their beers as much as they love their burgers! They’re creative, ice-cold, unique and perfectly creamy if you’ve ordered a stout. There are delicious chicken and waffle to devour, fried chicken for the kids, vegetarian burger, stuffed jalapenos appetizers, baconator, blue cheese burger served with caramelized onions, Sriracha fries and so much more. Have you been to Washington D.C. and popped into one or more of its Smithsonian Museums? Are you looking around for something different to do? Kayaking? Hitting a bar? Getting to know the locals? Shopping? Exploring unique neighborhoods? If that's what you have in mind, you're in luck! Bus Charter Washington DC has a whole new article out and it is filled with loads of useful info, pictures and links to hidden gems in Washington D.C.! Hit the link to continue reading! We’ve helped customers charter hundreds of buses for large events, up to 500 coaches as a part of our events logistics package and also ferried school children to their field trip destinations. 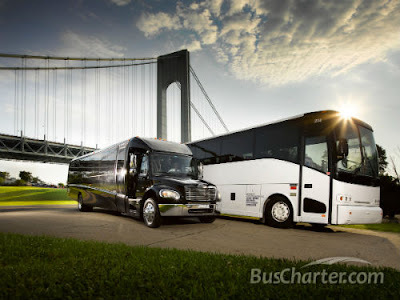 The bottom line is that Bus Charter Washington DC is a company that listens. 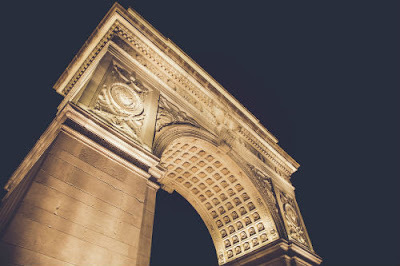 With a combination of over a hundred years of ground transportation experience, you know we are a company you can always count on when you need large charter buses, coaches, mini buses, vans, corporate cars, shuttle buses and sleeper coaches to move groups of people from one place to another anywhere in Washington D.C. and nationwide. Thanks to our in-depth knowledge about the charter bus rental industry, we understand and recognize the distinctiveness of your needs. Everyone is different and we listen to every request you have so we can deliver exactly that. Instead of listening to us speak of our quality services and vehicles, contact us right now or call us at 1-800-304-1993 and you’ll get an even better idea! Don't wait and call us now!